They say it takes a year to plan. Longer, to plan well. And that patience runs thin but there is perennial excitement in the air. They say that it is the most important day in your life, but let's be honest, weddings can be bittersweet. And while there is much hue and cry about the day itself, with ready advice available to all who care to listen, very little is said or circulated about pre and post wedding periods. 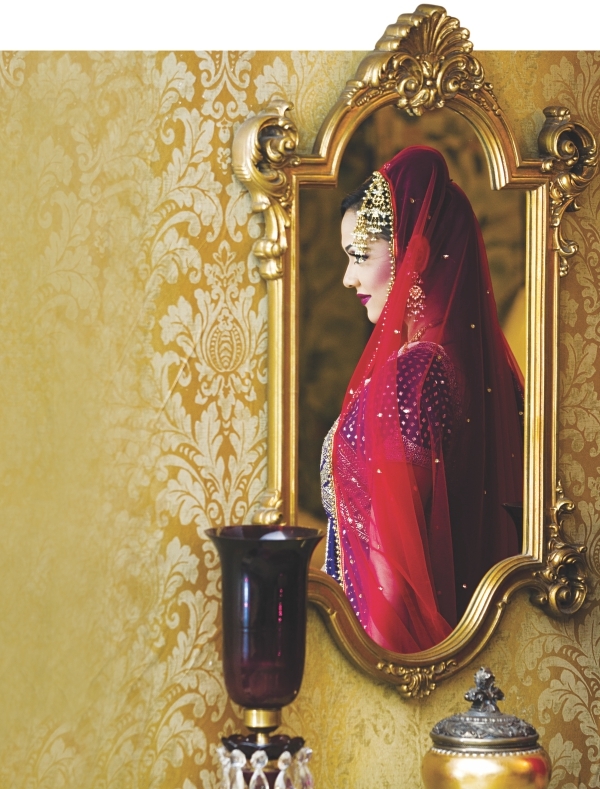 This November, Star Lifestyle teams up with beauty expert Sadia Moyeen to bring prospective brides a step-by-step guide for the entire wedding process. Keep your eyes peeled as we hand-hold them through a four-part discussion on Diet and Exercise, Skin and Body Care, Haircare and Grooming, and Make up for the morning after the big day. Don't miss this “Bridal Guide', appearing every Tuesday on Life Style throughout November. While we can't promise that the process will be any less overwhelming, we can certainly ensure that you are best prepared to deal with it! I have yet to meet a woman who is entirely happy with her body shape. I'm almost certain Cindy Crawford must also have her “I wish this was a little less and that a little more” moments, though no one else thought so. Most of us can identify at least one problem spot that we would like to change. Being unfit and out of shape does nothing for your self esteem, if you don't feel good about yourself it will reflect in your behaviour, cause unhappiness, irritability and all you will end up with is negativity around you and your loved ones. Let's learn to value and respect our bodies, not only to look good but to remain healthy. These days everything is geared to make life as easy as possible, we use escalators or lifts instead of stairs, domestic helps do our washing, cooking, cleaning, etc. and we don't even want to fetch a glass of water for ourselves. We are either slouching in front of the TV or at our desk at work; truly we are giving the term 'couch potatoes' a new meaning. So as you are on the threshold of a new beginning, you should give yourself at least 3 weeks to target your problem areas, study yourself truthfully in the mirror and decide what you are going to work on and get to it as soon as possible. Be realistic with the goals you set for yourself, if they are too high you will fail. The minimum amount of exercise you need to do is 20 minutes a day 5 days a week, it should be vigorous enough to make you breathless but not gasping for air. Depending on your goal add other fitness activities like swimming, yoga, badminton or brisk walking. Yoga: a complete wellness program, it will target not only your body but your mind as well. Swimming: my favourite exercise, fun as well as the fastest way to boost overall fitness, muscle tone, joint flexibility and relaxation. Badminton: will help build stamina, tone legs and shoulders. Brisk walking: listen to music and plan your whole week in your mind or have imaginary conversations while walking but do it. Make it easy on yourself and don't cheat. If you are unable to exercise in the morning, do it in the afternoon or night. I feel timing is not important, it's better than not doing it at all, as long as it's not immediately after a meal. Dieting combined with exercise is bound to give you results. You will lose weight quicker if you limit your food intake. But crash dieting will ruin your skin, hair and make you look gaunt. So it's important to eat sensibly. There is a saying that we should eat breakfast like a king, lunch like a prince and dinner like a pauper. You need to glow for your wedding, not look like you have come out of a concentration camp. Drink at least a litre of water a day, start your day by drinking a glass first thing every morning and drink the rest throughout the day. This flushes the toxins from the body and hydrates the skin. Be wary of the amount of fat you eat. Eat fibre rich food . Say bye-bye to colas and other sodas. Add skim milk and low fat yoghurt to your menu. Drink green or jasmine tea after every meal, it aids digestion. Eat in moderation, slowly savouring each mouthful; avoid second helpings just because you liked the dish. If you want to snack between meals turn to fruits, carrots, cucumbers, etc. Don't be tempted to take slimming pills or laxatives to speed weight-loss because they upset the body's natural equilibrium. Don't give up because you have cheated once and taken a bite of the sinful cake, continue your diet. Try not to cheat for your own sake. When you lose weight it comes off all areas of your body but it can take longer to shift from certain areas. This is where exercise comes in handy: working on troubled spots will encourage the weight to come off easily.